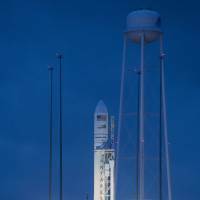 MIAMI - Food for astronauts, new space gardening gear and experiments to test extreme cold and how cement forms in weightlessness blasted off Monday to the International Space Station aboard Orbital ATK’s unmanned Cygnus spacecraft. 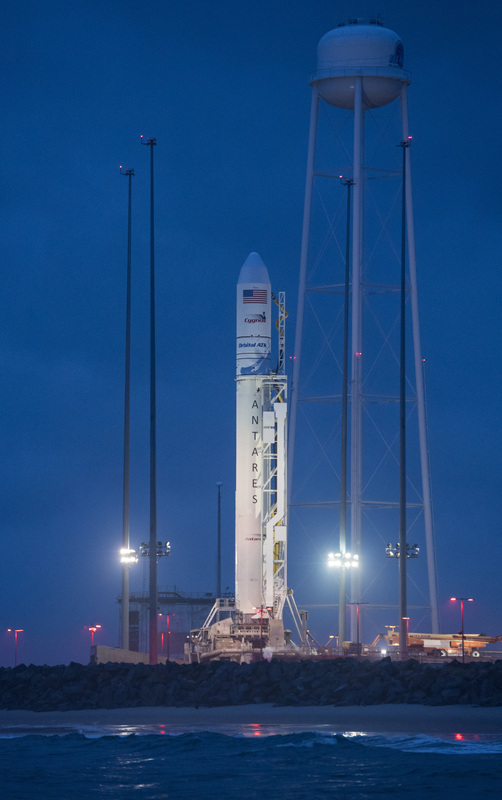 The white Antares rocket, emblazoned with a U.S. flag, rumbled and roared into the dark night sky over Wallops Island, Virginia at 4:44 a.m. 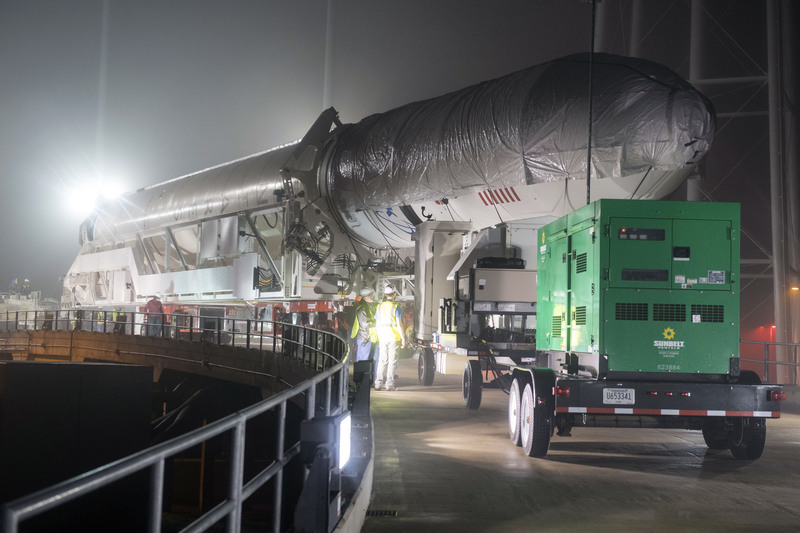 The spacecraft is carrying 7,800 pounds (3,500 kg) of cargo on the ninth of a series of launches by Orbital ATK, under a $1.9 billion contract with NASA to resupply the orbiting outpost. 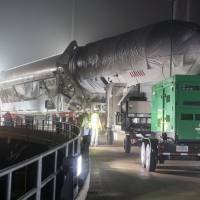 SpaceX also runs supply missions using its Falcon 9 rocket and Dragon cargo vehicle. Thirty-four new experiments are on board, including one that will create the coldest man-made temperatures anywhere in the universe, called the new Cold Atom Lab (CAL) facility. The U.S. space agency hopes that CAL will lead to new breakthroughs in modern physics. 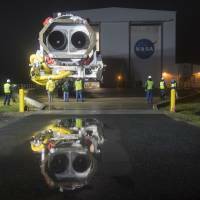 “CAL creates a temperature 10 billion times colder than the vacuum of space, then uses lasers and magnetic forces to slow down atoms until they are almost motionless,” NASA said in a statement. Also on board is the first European commercial system aimed at increasing researchers’ access to space lab by offering “plug-and-play” experiment cubes that are low-cost and easy to install and remove. The International Commercial Experiment, or ICE Cubes Service, is a joint venture of the European Space Agency (ESA) and the Belgian company Space Application Services. For human explorers to set up camp on Mars, they will need to build habitats to live in and places to protect their gear, and one experiment aims to test how cement acts in space and whether it will harden up and set like it does on Earth. Plant Habitat-01, an experiment that could boosts astronauts’ ability to grow their own food, is also on board. It contains “a closed environment unlike any other plant growth we have had to date on the station,” said Kirt Costello, ISS chief scientist. Three other plant boxes, where astronauts grow lettuce to eat, are already on board the ISS. The cargo ship is scheduled to arrive Thursday morning at the space station. During the rendezvous, NASA flight engineer Scott Tingle will grapple the spacecraft using the space station’s robotic arm, called Canadarm2. 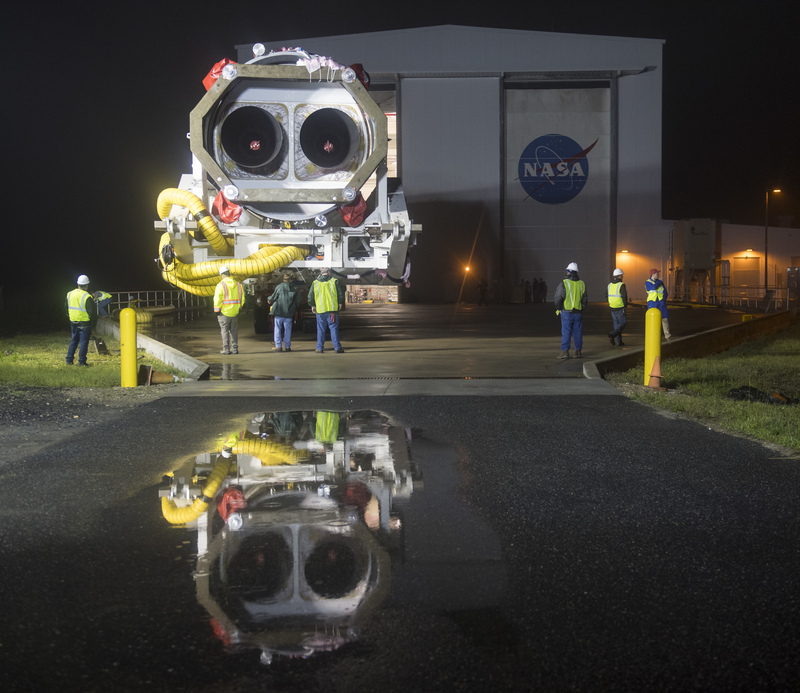 Cygnus will remain in space until July 15, when it will be loaded with trash and sent off to burn up on re-entry into Earth’s atmosphere.